Citizen reporter Um Du-yeong is a doctor. He has contributed profound medical knowledge in areas such as postnatal depression, panic disorders and heart attacks to OhmyNews audiences. In particular he is outstanding to relate unfamiliar medical terms with medical accidents in new, that help ordinary readers to understand medical jargon more easily. At the beginning, his specialty of journalism was sports and sports will always click for him. 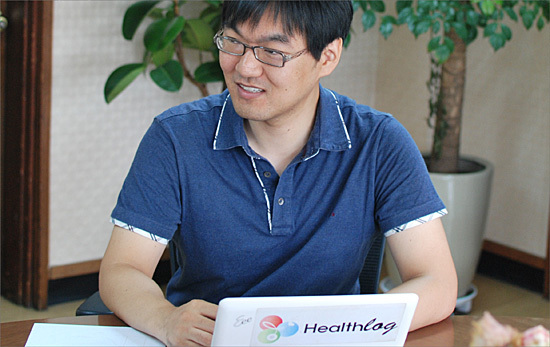 Mr. Um works during the day and studies at night since he studies oriental medicine and works in a hospital. He is studying unceasingly after getting his medical degree. A citizen reporter is also a journalist, so never feel daunted and lose confidence as you cover and submit news, he said. * OhmyNews is an online newspaper website with the motto “Every Citizen is a Reporter,” which is based on citizen journalism.